Feed the Children is a non-profit organization based in the United States. Founded in 1979, Feed the Children offers resources and hope for those who have little access to most of life’s essentials. During the fiscal year of 2012, Feed the Children organized the distribution of nearly 120 million pounds of essentials to families in the United States and internationally. Feed the Children has met or exceeded each of the 20 standards as determined by the Better Business Bureau’s Wise Giving Alliance. Additionally, Feed the Children has been granted the Wise Giving Alliance’s prestigious Charity Seal. 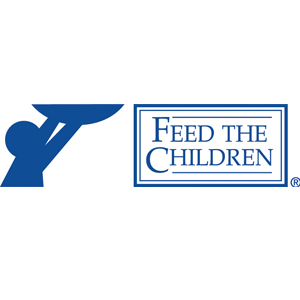 Feed the Children currently holds a 3-star rating (scale of 0-4) from the organizers of Charity Navigator, which is credited as the most extensive charity evaluator based in the United States. In partnership with the National Association of Educators for Homeless Children and Youth (NAEHCY), Feed the Children has distributed approximately 700,000 backpacks since 2006 that contained a variety of personal items for families. These personal items have included food, school supplies and personal care items for a number of homeless children who are enrolled in American public schools. Feed the Children currently ranks 22nd on the Chronicle of Philanthropy list of biggest charities headquartered in the United States. The organization’s headquarters are located in Oklahoma City. Each school day, Feed the Children has helped more than 350,000 children through its series of school programs. These meals have been distributed in South America, Central America, Asia, Africa and the Philippines. Supplies distributed through Feed the Children are sent through more than 50,000 churches, homeless shelters, feeding centers and other organizations throughout the United States. In February 2013, World Neighbors and Feed the Children announced a strategic collaboration with World Neighbors. As a result of this change, Feed the Children will now extend its reach through philanthropic activities in 23 countries. Taking into consideration the September 11, 2001 attacks in New York City and the 2004 tsunami in South Asia, Feed the Children sent in excess of 15,500 tons of relief supplies and food in response to these horrific incidents. After the destruction of Hurricane Katrina in 2005, the leaders of Feed the Children sent more than 650 tractor-trailers to the Gulf Coast area. These tractor-trailers distributed in excess of 20,000 tons of relief supplies and food for the benefit of those affected by this natural disaster. During the 1980s, Feed the Children began airing a television campaigned that aired on several American networks. These advertisements by Feed the Children featured images of impoverished young people who were in dire need of essential supplies and food. This Feed the Children coverage offered a tremendous outlet that raised awareness for their cause. Acquired by Feed the Children for this special project, David Dunn Productions managed the filming of these children in Africa. According to Feed the Children, 92 percent of the organization’s total budget in 2012 was directed towards program services. These program services include community development, education, disaster relief, medical, food and childcare. Five percent of the Feed the Children budget went to fundraising and another three percent was allocated to supporting and management services. In June 2012, former Good360 manager Kevin Hagan was installed as CEO and president of Feed the Children.